My friends were extremely excited when BlackBerry made their Messenger available to iOS and Android users. "Neil, get BBM. It's back!" I didn't understand why when there are so many alternatives out there, like Kik and WhatsApp. What BlackBerry Messenger offers is instead of linking to a phone, it uses a unique identifier solely linked to BBM. No phone numbers needed—which is awesome for my Android tablet. I did really enjoy BBM when I had a BlackBerry way back when, but I remained dubious about how well it worked on my Nexus 7 tablet. "Your device isn't compatible with this version." Instantly disappointed. But if you're a softModder, that disappointment is short-lived. We've shown you how to get WhatsApp working on your Nexus 7, and the process is similar for getting BBM working. Before downloading, make sure to go to Settings -> Security and check Unknown sources in order to allow your device to install the APK we will be using. I just used the APK Downloader tool to generate an APK download link for the official BBM on Google Play, which you can use below. BBM v. 1.0.2.83 - Note that you might have to copy/paste this link instead of just clicking on it, or just generate your own with the APK Downloader. After downloading it, locate the APK (mine was in my Downloads folder), tap on it, and follow the install instructions. 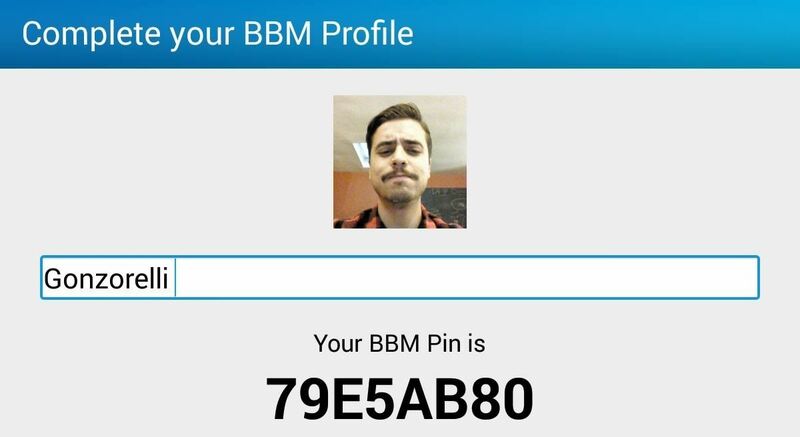 You're now ready for the simple, initial setup of your BBM account, unless you already have one. You can only use one account per device at a time. If you switch between devices, it will ask if you'd like to switch over, or you may just need to sign in again. It's not a big deal, but you should know. BBM will only work with Wi-Fi, as most of you may already know, but the features are simple and useful. Adding people to conversations is easy just use one of the provided methods. Once you're in a conversation, you can easily make it a group chat by hitting the Invite More option. Also, it's easy to send pictures and voice notes with the Attach option. The other way of sending a photo is by going to your gallery and selecting BBM as the sharing method. I didn't know why it was such a fuss, and I still don't, but after using the Messenger I found it convenient and an overall pleasant experience. It's basic and straight forward, and with over 60 million active users it won't be difficult to find friends using it. It also feels like the most active, real-time conversation app out there. If you enjoyed it like I did, why not make the switch? Let me know what you guys think. Hey in my n7c i am not able to send msgs through whatsapp and facebook mesenger when i use mobile data but they send msgs when i am on wifi.. Any solution?? how did you install WhatsApp to your Nexus 7? It may having something to do with WhatsApp not being compatible with the tablet. I can't say the same for FB. Hey it says application unexpectedly closed, when i install it. I guess my device isnt compatible?! Try re-installing, because it's not compatible with the Nexus 7 either. How can you update it? If it doesn't update on its own, then we may have to look for an updated APK with the latest version. I know the new version has some added features. Hey Neil! Thank you for the hack.I successfully installed the app on my nexus 7 but i am facing an issue in receiving pdf files. I click on accept file, choose a location and save the file. It downloads till about 95% and then just freezes. I have no such problem in sending PDF files or sending & receiving other file formats. Is this a known problem? Any Solution for it?